Just had my 14 week u/s. 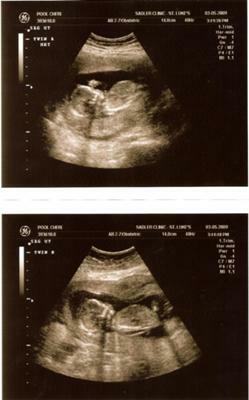 On April 2 I get to see what the gender is...Yea! They are much bigger than 2 months ago. BPM 155 for both...the tech was surprised. To me, baby A is smaller than baby B, but they measure right on target. maybe it's the angle of the pic.